Lucky Brograms have announced through a PC Steam Greenlight campaign their beautiful looking action adventure game of ' Into the Belly of the Beast '. 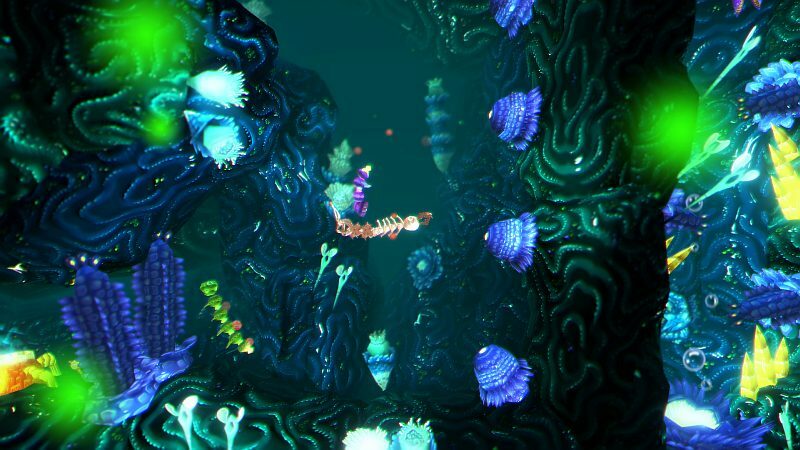 In this 3D underwater experience, you play as a small worm-like creature that must rescue her children from a mighty sea creature, swallowed up and deep within the belly of this beast. On your journey through the beast's body, you can deploy special powers, make friends and adapt yourself to your enemies with a unique DNA based eating feature. Battle your way through heaps of enemies and stand your ground against large bosses. Rescue your children and learn new abilities. Solve a number of environment based riddles and directly interact with your game world to solve physics-based puzzles. Use the powers of fire and electricity as tools, or as weapons against your enemies. Will you manage to save your children and escape from the beast?